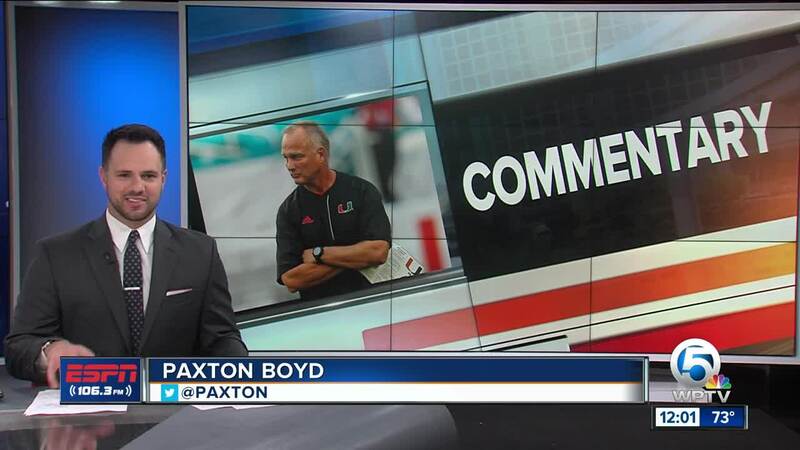 Paxton Boyd of ESPN 106.3 reacts to the crazy day of Miami Hurricanes football. What happened over the next 12 hours or so represented perhaps the most whirlwind day of his career, and certainly one of the wildest days in the history of Miami football. Mark Richt stunned the program by retiring as coach Sunday morning , the school gathered itself to begin a search for his replacement a few hours later, and before the day was done Diaz was announced as the new leader of the Hurricanes. The Hurricanes' defensive coordinator for the past three seasons agreed to a five-year contract to take over the program, and Miami's new coach never truly left Miami. Diaz took the job as Temple coach earlier this month, remained at Miami to coach his defense one last time in the Pinstripe Bowl last week — and was prepping for the move to Philadelphia.